How was the idea of our SEO Laboratory born? 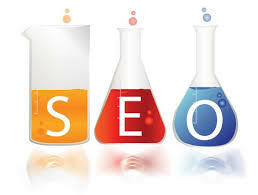 There are different cases existing and there is no uniform opinion among the SEO environment. For example, does the presence of outgoing links to authority websites such as Wikipedia help your website’s ranking? To confirm or reject the authenticity of this suggestion we had to do some experiments and researches that gave very interesting results. This helped us realize how useful these researches would be for us, for our customers and for anyone who makes SEO Optimization. Therefore we have created a SEO Laboratory where our R&D team works hard and invents the most innovative decisions in that field. Our work includes the constant researching, experimenting and testing of specific SEO cases and ideas that could lead to new SEO inventions. If you still have doubts what is useful for bringing out your website to a leading position on Google and what is not, contact us and we will solve the hardest SEO case.